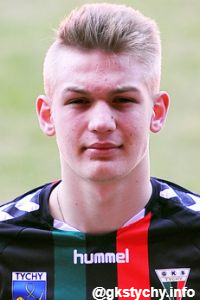 Jan Biegański is a product of GKS Tychy youth academy. He is considered to be one of the most talented midfielders in Poland. He made his professional debut in 1 Liga at the age of 15 becoming the youngest ever debutant in the history of GKS Tychy. He is also a regular youth international for Poland and currently represents his country at the U17 level.